Ending sexual violence in conflict is a major current international issue (see June 2014 Global Summit on the issue). Analysis of reporting by 23 country donors and the EU suggests that 0.29% of bilateral project aid goes to SGBV-related projects. But this may reflect poor reporting. According to official development assistance (ODA) reported by 23 donor countries and the EU in 2012, the total identifiable aid spending on SGBV-related bilateral projects was US$320 million in 2012, representing 0.29% of total SGBV project spending. Three donors accounted for almost two thirds (62.7%) of aid to SGBV projects: the US (US$114.5 million), Sweden (US$51.7 million), and Norway (US$34.3 million). There were 12 donors that provided more than US$3 million for SGBV projects in 2012, with remaining donors providing a further US$7.3 million. 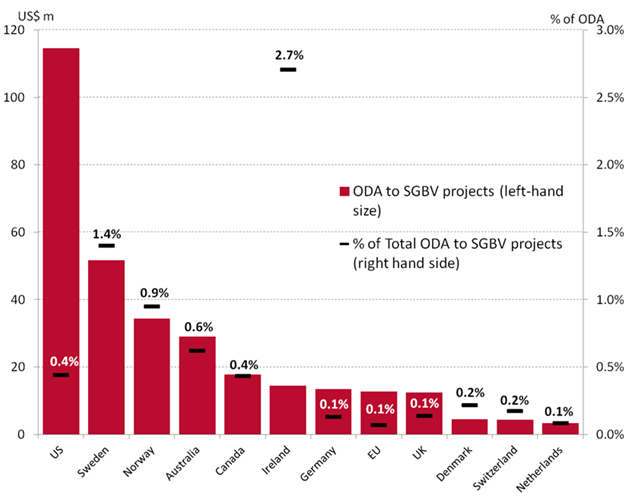 The proportion of donors’ total bilateral project ODA going to SGBV‑related projects varies significantly by donor. Ireland has the highest proportion at 2.7%, although it is only the sixth largest donor, giving US$14.5 million in 2012. 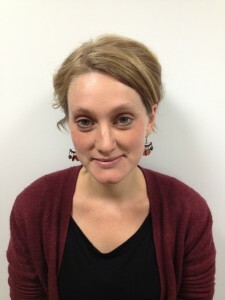 The UK, which launched a series of initiatives to address sexual violence in conflict in 2012, is at the lower end of the scale. Records suggest US$12.5 million was given to bilateral projects in that year, representing 0.1% of total ODA spending (US$9 billion), which ranked the UK 8th among those donors giving more than US$3 million in 2012. Both New Zealand (0.6%) and Finland (0.2%) gave higher shares of ODA, but smaller absolute amounts. More standardised and systematic reporting of SGBV and clear funding targets would help to address the issues SGBV raises. Chart shows the 12 largest DAC-23/EU donors to SGBV-related projects in 2013, based on bilateral reporting to the OECD DAC Creditor Reporting System. (CRS data for 2013 will not be available until December 2014). Figures only include bilateral projects reported by donors, based on search of project records using keywords related to SGBV in various languages, and projects that have SGBV as either a primary or secondary objective.